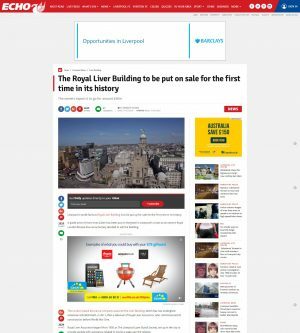 The Manchester Evening News and Liverpool Echo are among the Trinity Mirror titles which are set to move on to the publisher's new platform later this month. Trinity has begun moving its digital portfolio on to a new ‘Chameleon’ platform, which adapts automatically depending on whether the website is being viewed on a desktop computer, tablet or mobile phone. Articles on the new platform are meant to load twice as quickly, while the new framework also provides better advertisement viewability. Some of Trinity's Southern titles, including Get Reading, wharf.co.uk, Get West London and Get Surrey have already migrated to the new platform. The Huddersfield Examiner, Daily Post and Gazette Live are pencilled in to go live on the platform next week, with the MEN, Echo and Chronicle Live among the titles moving over the following week. David Higgerson, digital publishing director for Trinity Mirror Regionals, said: “As we continue to grow our audiences we’re always looking at ways of improving user experience. Chris Russell, product director for Trinity Mirror Digital, said: “While people increasingly access our products on different platforms and our mobile apps, it remains crucial to provide the best possible website product for our users and advertisers, especially on mobile devices.